The European Wilderness Society aims to identify, designate and steward, but also promote European Wilderness, WILDForests, WILDRivers, WILDCoasts and WILDIslands. Promotion of European Wilderness includes to experience Wilderness. To experience Wilderness, you need to have some special skills, put in lots of efforts and have a strong will. You need specialised knowledge and skills to survive in remote and undeveloped land. To fulfil all these requirements, the trained professional Wilderness stewards, guides and Wilderness experts are very important. Their expertise is crucial when they want to share their passion with other people and guide them to the Wilderness. That request careful planning and well prepared logistics to minimise unexpected surprises. Because of these committed people, there is a growing number of opportunities to experience Wilderness in Europe. In Central Europe (e.g. Slovakia) Carpatica – Explore the Wild Side is offering this opportunity. When you want to experience Wilderness in Russia, the Association for Nature Conservation – Machaon International offers this chance with a group of enthusiastic and well experienced people. These people can provide you, together with Russian professional Wilderness expert, guides and local Wilderenss rangers an unique Wilderness experience. Russian Wilderness and the ‘zapovedniks’ system. Russia has the world’s most extensive network of strictly protected areas – called zapovedniks. These are mostly well-preserved Wilderness listed by IUCN as category la, but sometimes also as IUCN cat Ib. In 2017, Russia celebrated the 100th anniversary since the creation of the first strict nature reserve – Barguzinsky Zapovednik on the shore of Baikal Lake. The term ‘zapovednik’ was invented in the times of the former Soviet Union. This term refers to the reserve, staff and infrastructure, and is still in use in the Russian Federation and in some former Soviet republics. The theoretical justification for zapovedniks was developed in the 1890s and early 20th century, principally by the soil biologist V. V. Dokuchaev. The fundamental idea of zapovednost (strict conservation) is the exclusion of people and the prohibition of economic activity. The only exception is non-intrusive access by scientists and rangers, in Russia called “state inspectors”. said Svetlana Belova, Director of Machaon International. The Russian system of protected areas includes, besides zapovedniks, several other categories of protected areas such as national parks, wildlife sanctuaries (zakazniks) and natural monuments. This system is the pride of Russia. Nowadays, this network covers 11.4% of Russia, or 206.7 million hectares. This is larger than the size of Mexico. There are already several organisations offering opportunities to visit and experience this unique network. Machaon International just launched a special programme offering three customised trips to Russia in 2018. These trips are for European conservation specialists and nature lovers with a focus on exploring Wilderness in Russia. Machaon International has supported protected areas in Russia for the last ten years. It organized over 30 study-tours for managers of Russian protected areas to various European national parks. The idea to do similar special tours for European conservation and Wilderness experts to Russia appeared in 2017. It was a result after a successful international Wilderness expedition to the famous Kronotsky zapovednik in Kamchatka for colleagues from the Gesause National Park (Austria) in that summer. It is not a coincidence that Machaon International organised the trips under the title “Heading Towards Happiness”. This phrase is also on their website, since they started this new programme. It expresses the attitude of Machaon International representatives, who love nature and enjoying it together with people who protect and steward Wilderness. Therefore, together with its partners and friends in Russian protected areas, they are now inviting managers and rangers from other European protected areas and true nature lovers to discover some of the Russia’s natural treasures. 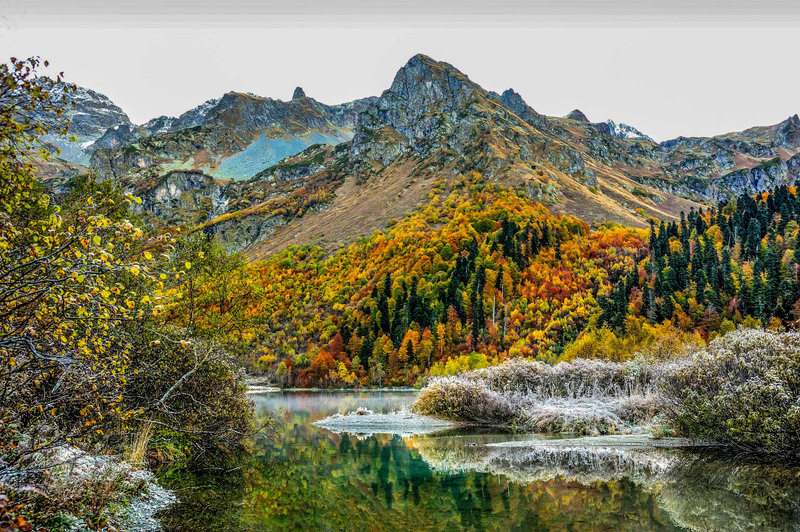 This year destination is the largest pristine mire system of Polistovo-Lovatsk zapovednik, Russian lake district – Kenozero National Park and Caucasus Biosphere Reserve in the mighty Caucasus Mountains. By joining one of their tours, clients will not only explore and learn, but also support further conservation of those Wilderness sites and make a right step to achieve the personal happiness. concluded Svetlana Belova, Director of Machaon International. More information and details of the programmes for 2018 can be found here. Let´s talk about wilderness in English in Ukraine!